Planning a pawty for local tripawds in your area? Let everyone know by posting fliers in pet stores and veterinary offices! 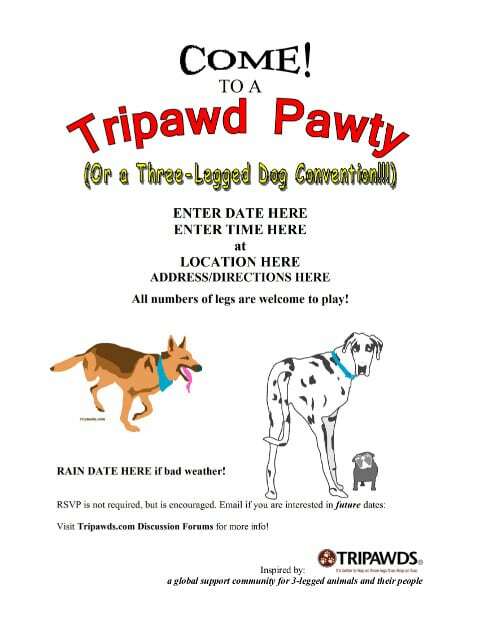 Many thanks to gerrysmom for creating this handy Tripawd Party Flier Template! 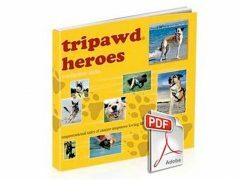 If you’re planning a Tripawds Party in your area, just download this Word doc and add your information. 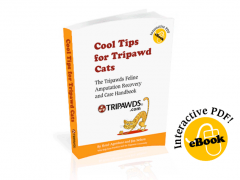 Then be sure to announce your three legged gathering with a new topic in the Tripawd Parties discussion forum. Open the file using Microsoft Word and edit it with the details about your Party. Post it at pet stores, dog bakeries, vet offices, and specialty pet boutiques. Together we can help prove to the world that its better to hop on three legs than to limp on four! That is too cool! Thanks Gerrysmom!